SPS Manufacturered Magazines fit STI and SV wide body frames. 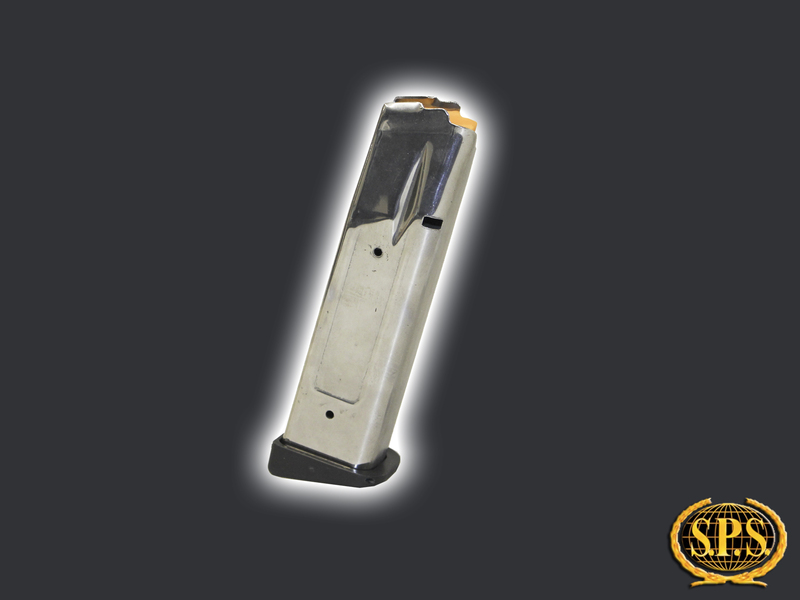 These magazines hold 21 rounds in caliber 40S&W and are 140mm long. This magazine is supplied with a Polymer Base Pad, which keeps the price low. This 140mm magazine is made of 420 Stainless Steel and have been heat treated making them very resistant to corrosion and deformation. Note: This magazine doesn't keep the slide opened when the last round is fired.